The Rigid Marine SR-Series LED Light Bars provides a sleek, yet powerful, low profile lighting solution that measures less than 2” tall. The SR-Series is designed to project light at extreme distances while consuming very little power. 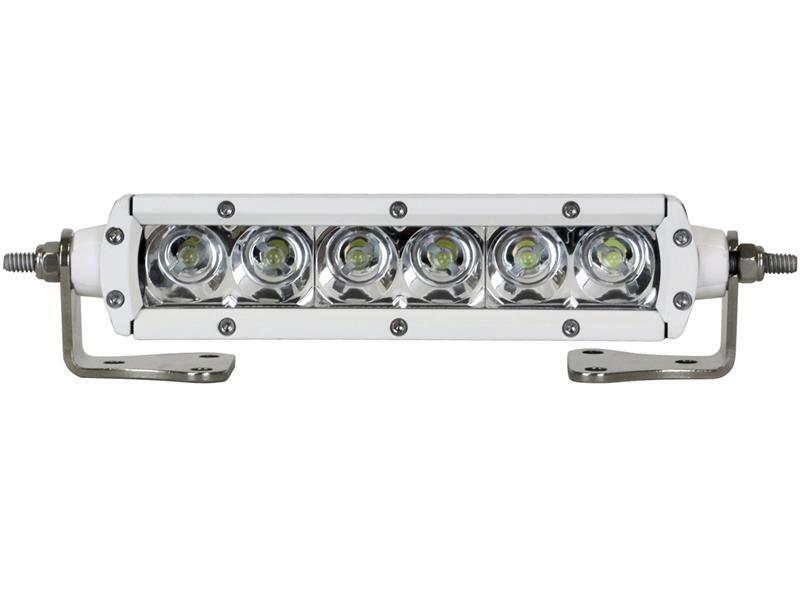 Available in a wide range of lengths and configurations, these LED light bars can be used on virtually any vehicle or marine vessel. Along with being the highest output low profile light bar on the market today, the SR-Series is built to withstand the harshest of environments, on land or over water. Each LED light bar is manufactured from the highest grade materials available, including unbreakable polycarbonate lenses and Torture Tested housings, and a detailed manufacturing process ensures that each light is resistant to shock, vibration and water penetration for years of trouble-free use. The Marine Series products are given special attention due to the elements they will be exposed to in a marine environment. The aluminum housing receives a chromate conversion coating that acts as a corrosion inhibitor against elements such as salt. We then give the housing a high quality, UV-resistant powder coat finish. We use 316 marine-grade stainless steel hardware that receives a coating that’s been tested for over 1,000 hrs of corrosion resistance. The mounting bracketry included with our marine products is also 316 stainless steel. This product does not include a wire harness or switch, due to the fact that most installations on marine equipment are custom and require smaller holes and unique components.